China is often termed by many as “The Next Great Superpower”, among many other labels acknowledging China’s seemingly inevitable rise to power. Indeed, we saw much evidence of China’s economic prowess throughout our trip, under the ambit of the Raffles Bicultural China Programme. However, as clichéd as it might sound, what truly amazed us was not the sprawling manufacturing compounds or the towering skyscrapers; it was the rich Chinese culture, and the spirit embodied in Chinese traditions that truly marveled us. Our preparation for the trip began early in the year, when we had a series of 8 weekly sessions. 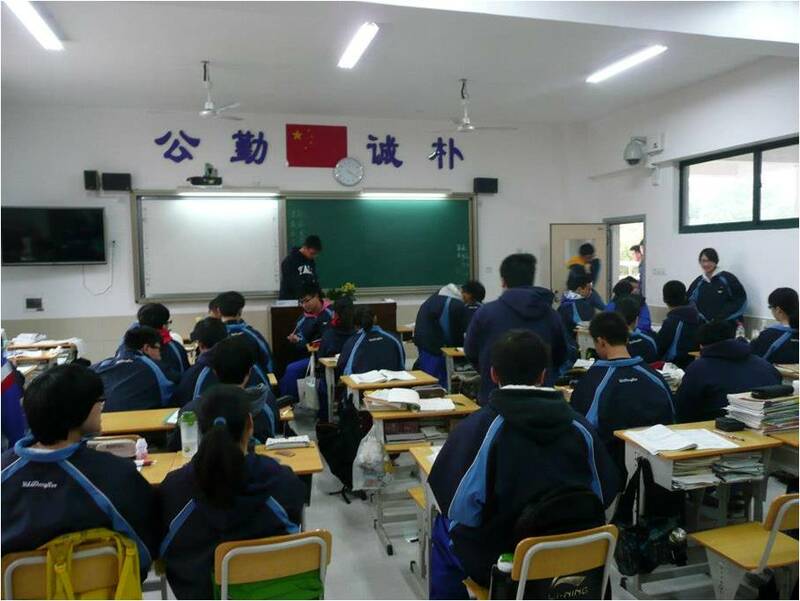 The weekly enrichment sessions were organized with the intention of giving us a unique insight into China. Over the past few years, much has been said about China’s rise to prominence; many books have been written documenting China’s economic progress throughout the years. However, these sessions went beyond the superficial: it provided us with an even more in-depth look into China, not just from an economic perspective, but also from a cultural and societal perspective,. One of the most interesting sessions we had was involved a speech by a diplomat working at the Singapore consulate in Shanghai. The talk was about evolution in Chinese foreign policy over the years. It was an interesting and informative session in which we got to know more about how China’s relations, not just with Singapore but also with the rest of the world, changed as it gained prominence on the world stage. We also realised the dexterity and adaptability Singapore’s Foreign Ministry had to practice in managing relations with China. Singapore’s good relations with China are a testament to our ability to foresee and predict how China will deal with countries as it gains economic and political might. 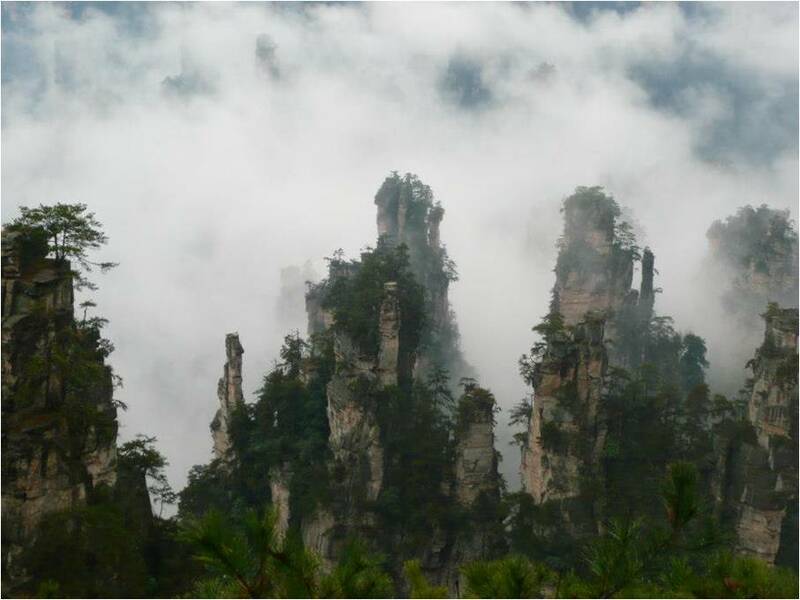 On the trip, we were treated to the amazing sights of Zhangjiajie, in the northwestern region of Hunan. 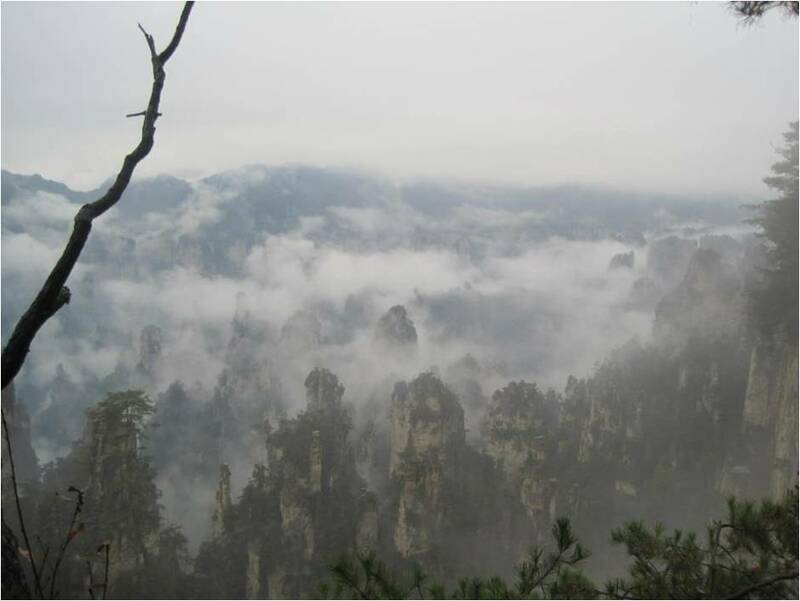 When we were initially told about the how beautiful the scenery was in Zhangjiajie, we greeted such talk with much scorn, believing that Zhangjiajie would might likely turn out to be nothing out of the ordinary. We were wrong. We were all amazed and wowed by the stunning scenery at Zhangjiajie. We were treated to the sights of stunning rock formations shrouded in a layer of mist and cloud. The quiet, tranquil environment there certainly did add to the “mystical” feel of the place. We spent the day walking through Zhangjiajie, taking in the amazing sights, which while was breathtaking was not imposing nor overbearing. Being so close to nature and its wonders also offered a great time of relaxation and reflection for many of us. For the next part of the tour, we visited a town called Shaoshan, approximately an hour out of Changsha. Shaoshan is the birthplace of the revered Chairman Mao. Through the visit, we were able to see the amount of respect the Chinese accord to the former leader, whom many in China believe brought prosperity and power to the nation. The enthusiasm and energy with which the local guide brought us around the small town was clear evidence of how proud he was to live in the birthplace of Chairman Mao. We visited museums with exhibits painting a picture of the way Chairman Mao led his life, as well as showing the sacrifices he made for the Chinese people. 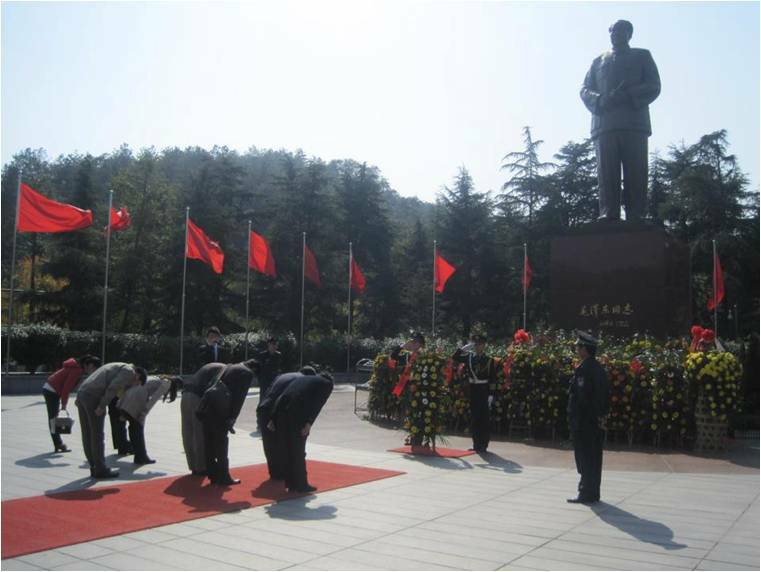 We also visited a statue of Chairman Mao, where visitors (both local and foreign), had to bow and pay respects to. 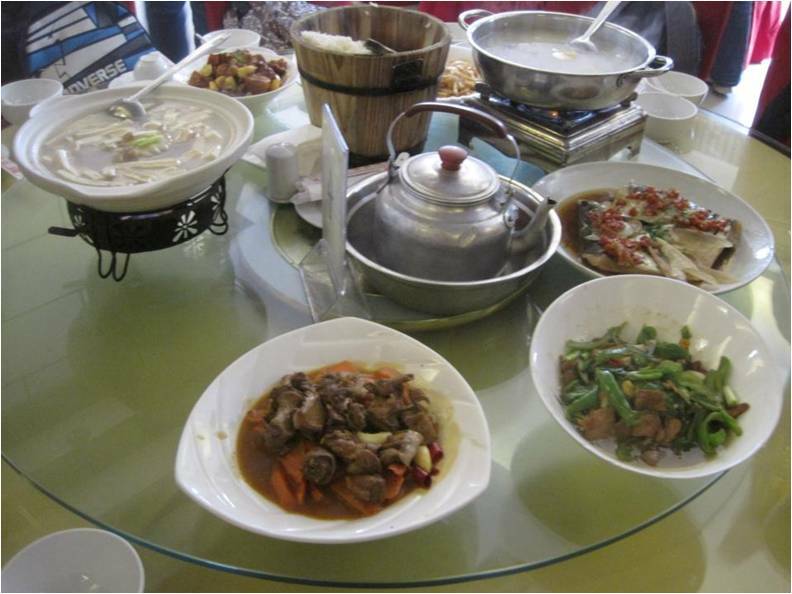 We ended our visit of Shaoshan with lunch consisting of local dishes at a restaurant named Mao’s Kitchen. Indeed, tours and sightseeing were not the only programmes on our itinerary. We also visited schools in the local Changsha area. One of the schools that we visited was Yali Middle School, an affiliate of America’s prestigious Yale University. The school invited us to sit in for their Math, Physics and Chemistry classes. We were both surprised and struck at the level of enthusiasm in the classrooms, with the students’ eagerness to participate and get involved in lessons. Students immediately raised their hands when a question was asked, clamouring for their teacher’s attention to call on them to answer the question. They patiently queued up to conduct a simple scientific experiment on a simple weighing scale their teacher brought in for Physics lesson. The classroom was indeed filled with a sense of empowering liveliness, energy and vibrancy that rubbed off our students. Apart from sitting in lessons, we joined the students for their extra-curricular activities, which included the Entrepreneur’s Club, as well as the Philosophy Club. The fact that the sessions were held in Chinese did pose some problems for some of us, especially given the technical nature of the lesson that neccessitated the use of complex jargon. The teacher played a crucial role in ensuring that all of us understood the lesson, trying his best to avoid the technical language while trying to translate the information that was important to the understanding of the lesson. However, we still had great takeaways from the interesting and enriching sessions. Through this trip, we got to see first-hand the opportunities that existed in China. The programme gave us an insight into various aspects of the country, and really put us in a good position to make the most of these valuable opportunities. Students who were planning to work or study in China in the future benefitted greatly from the exposure provided to them during the trip. We too saw first-hand the impact of China’s economic development on society, and we were amazed at the way Chinese traditions, history and heritage continued to play an integral part of the Chinese ethos, even in the light of growing Western influences. The writer would like to thank all members of the China immersion programme for the trip. On behalf of the entire group, we would also like to extend our sincere gratitude to our teachers-in-charge Mdm Ong Hwee Koon, Mdm Yap Sook Lan and Mdm Ng Lay Kheng for painstakingly arranging this trip for us. The author would like to sincerely thank Bryan Chong (13S07A) and Dylan Chong (13S07A) for contributing their photos to this report.